Mary Leibowitz passed your letter on to me and I am pleased to provide the infomation you asked for. Associate member dues are $5.-- per year and may be send to me, or the treasurer. 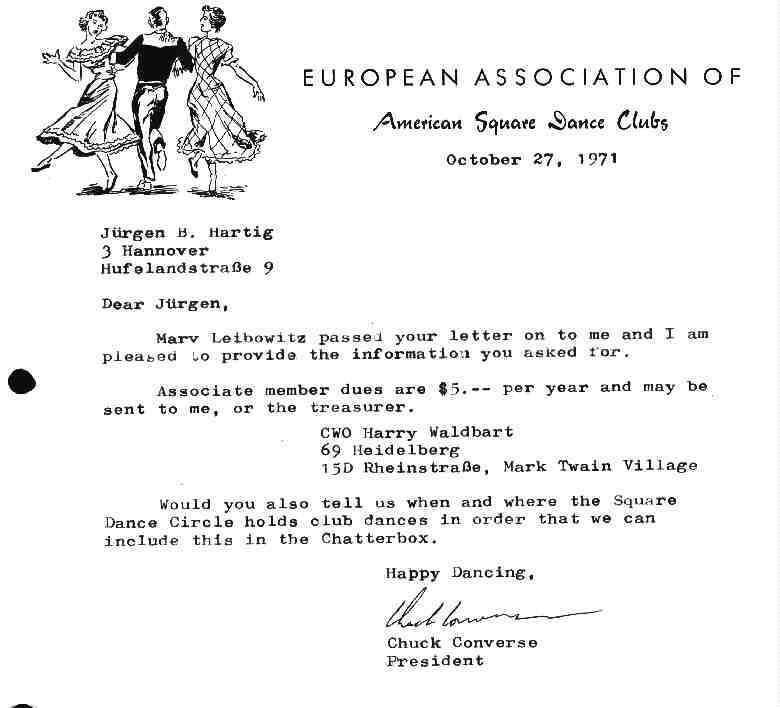 Would you also tell us when and where the Square Dance Circleholds club dances in order that we can include this in the chatterbox.